How to automatically smoothed thumbnail images in WordPress – often we underestimate thumbnail images regardless of the image size and beauty. Almost all WordPress themes have features images, often look untidy or does not comply with the standard thumbnail images presented by WordPress theme that is being used. This often happens on a blogger who likes to change the theme. If you are involved in this thumbnail image issue, fix it / regenerate the thumbnail immediately, because the feature picture quality also affects the SEO of your website pages. I will discuss how to regenerate thumbnails or resize images in WordPress quickly and its relation to SEO. Featured image or often called thumbnail image has always been an interesting discussion among the bloggers. The size of the thumbnails that will simply overload the server and loading speed of your website. If your website is slow, google search engines will assume your website is not eligible to be placed on the first page of google. Please see the following picture so that you can know instantly regenerate thumbnails importance in terms of beauty. This often happens if we like mutually exchange WordPress theme or we are lazy to resize the original image size to fit the container thumbnails displayed by each WordPress themes. The media images on WordPress have provided the tools for changing the image size manually. But, imagine if we had 1000 articles with thumbnails that are not yet in the optimization, How lazy if you must change the size of one by one. To do it in bulk, there are some WordPress plugins that serve as regenerate thumbnails. Please install the plugin through your plugin dashboard and type Regenerate Thumbnails on search box plugin. Then install the plugin as usual. Go to Media menu (Settings » Media) and change the size of thumbnails in accordance with the standards of your theme. Go to menu Regen. Thumbnails (Tools » Regen. Thumbnails). 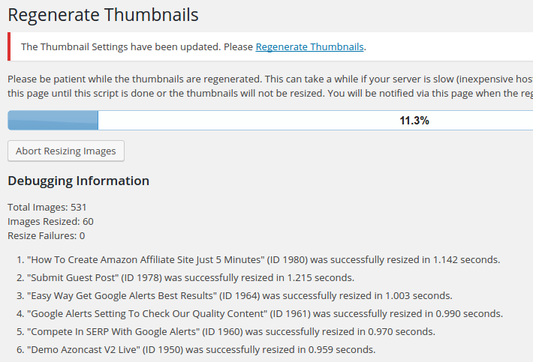 Click the Regenerate All Thumbnails button, plugins will do the repair work the entire size of your thumbnails. If you have smoothed your theme, your website will be more neat, beautiful and website loading speed increases. This will make your website loved by search engines like google. 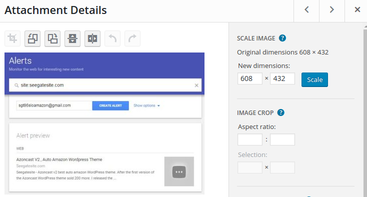 To further enhance the quality of SEO on images don’t forget to give ALT and Title attributes on the image. I have been discussed on How to Quickly Add ALT And Title Attribute in WordPress Image. Tidy up your thumbnail images immediately, so that your website can compete in the first rank on google search engine. 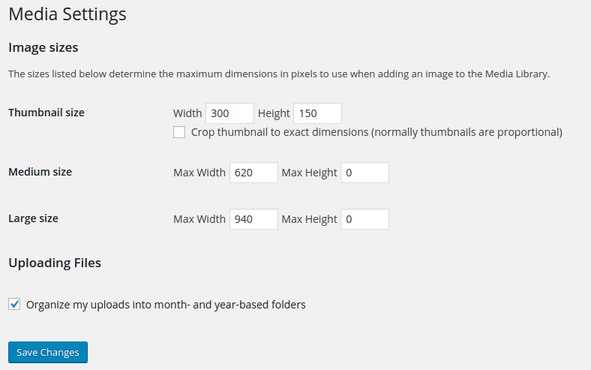 Regenerate thumbnails are plugins required to improve image quality on your website. Thus my article on How To And The Importance of Regenerate Thumbnails In WordPress For SEO, please provide your comments and opinions about how to smoothed featured image. This plugin is good, is there any other than this plugin?